President Trump sounds more and more like a man in the early stages of dementia. Between his aphasic battle to communicate facts, names, timelines to his inability to focus and prepare for essential interviews and meetings; Trump may be amid a mental health crisis. 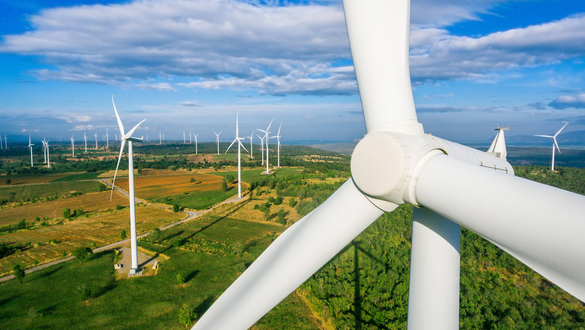 Wind energy is one of the cleanest and potentially cheapest energy resources in the world. If any of the promising high capacity, long life battery technologies under development mature, wind energy could provide an enormous amount of our national energy needs for a fraction of what American consumers pay currently. "If you have a windmill anywhere near your house, congratulations, your house just went down 75% in value. And they say the noise causes cancer. You tell me that one, OK?" Either fact don’t matter, or the President’s comments reflect his continuing loss of touch with reality, or we are witnessing a dystopian Presidency where Trump’s reflect both dire realities. There is absolutely no evidence showing the sound, or any other aspect of wind turbines causing cancer. The disconnect with the truth is puzzling since Grassley’s home state of Iowa has become a national leader in wind energy, and is the first state to generate more than 30% of its electricity through wind power, according to the Iowa Environmental Council. After Grassley's comments yesterday his office sent out a news release trumpeting his bipartisan appeal for more federal wind energy funding. The appeal was co-signed by Oregon Democratic Sen. Jeff Merkley along with several senators running for president as Democrats, including Sens. Kamala Harris of California, Kirsten Gillibrand of New York, Amy Klobuchar of Minnesota, Elizabeth Warren of Massachusetts, and Bernie Sanders of Vermont.